Mauve-pink flowers are small and downward facing. 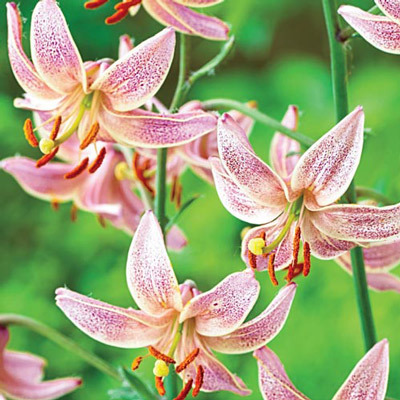 A single stem can produce as many as 50 blooms. Martagon lily. 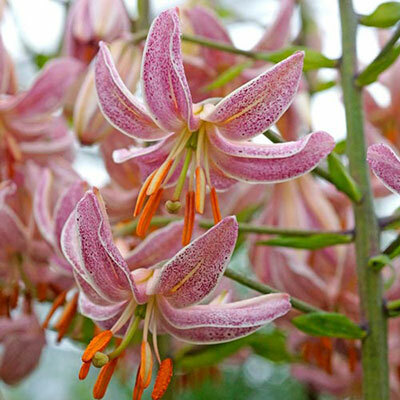 Though many Lilies have come and gone over the years, these seem to have survived the test of time. We've selected them for their unrivaled beauty, their hardiness, and in some cases, their exceptional fragrance — all from cultivated stock.